People don’t come for the town, they come for the nature. 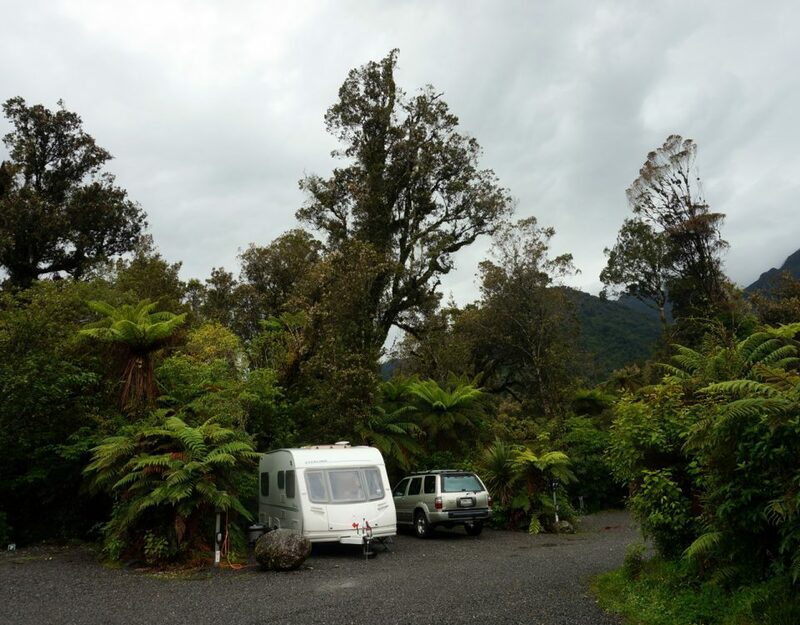 It’s a small town and the main reason for it’s multiple accommodation options are from people completing the Heaphy Track. But there are other activities in the area with plenty of shorter hikes. It feels untouched and has a lot more wildlife than other parts of New Zealand. 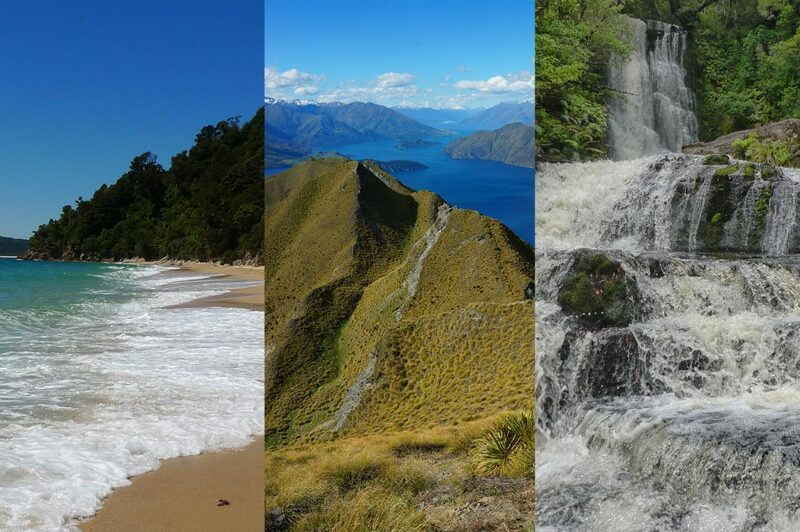 There’s wild beaches, red rivers, mossy forest and caves – plenty of natural beauty. The river’s red/gold colour is from the natural tannins released into the water by plants in the area. Leaves on the forest floor release the tannins as they decompose and gets washed into the river. This apparently means it’s a health native bush area?! I’ve had many Weka, Pukekohe and Robin sightings. The Weka’s are like the Seagulls of the land and I’ve seen them eating dead birds and peoples lunch – they are even known for destroying gardens. Beware of the weather. After a lot of rain, you might be trapped until the water goes down. I’m currently waiting for the water to go down so I can leave! I’ve heard it should be fine this afternoon. The locals are so friendly, with plenty of waves as you drive past. I’ve heard a few great stories from the local farmers. One guy accidentally got into Burma 35 years ago and was shown around the country by the rebels. Another local visited Russia in the 70’s and was moved out of an area by guys with machine guns. An adventurous community! Karamea’s history is about the first pakeha settlers struggling to plant anything because of the poor top soil. It sounds like a tough place. There were gold diggers and people are still sifting for gold today. They had a port, but after an earthquake in 1929, they couldn’t rebuild it and this caused people to leave the area. 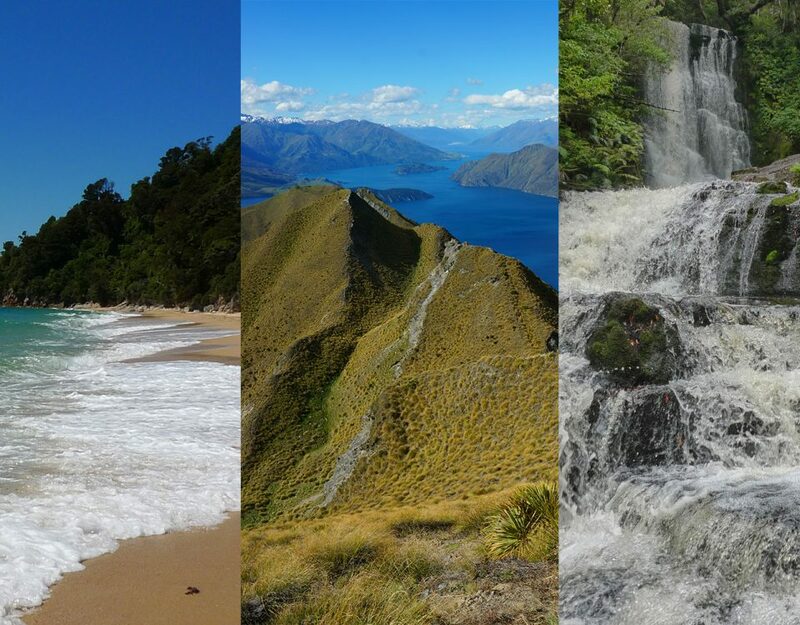 It’s one of New Zealand’s nine Great Walks by the Department of Conservation and starts in Collingwood, Golden Bay. The track takes 4 to 5 days and you need to organise transport and accommodation in huts or camp sites before starting. 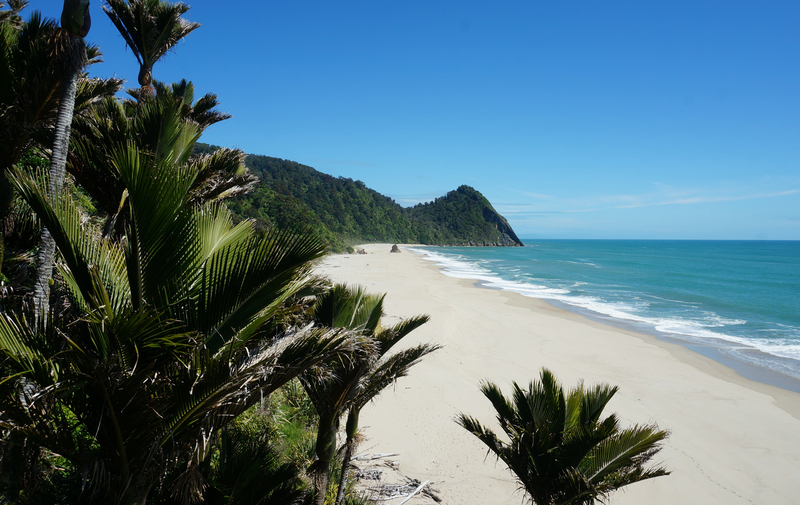 There are other day hike options along the Heaphy Track. There is a short 40min Nikau Palm Walk where you cross a bridge over a stunning red river and stroll through beautiful bush. If you want a longer walk, carry on along the path to Scotts Beach. There’s also a lookout along the way. And if you’re keen to see more, carry on to see some stunning clumps of Nikau Palms and a fantastic view back over Scotts Beach. The hikes I highly recommend if you have limited time, is the Moria Gate / Mirror Tarn Loop and the Oparara Arch. They start from the same carpark. The Moria Gate / Mirror Tarn loop takes about 1.30 hours return – longer if you take as many photos as I did! The Moria Gate Arch is stunning with a red river running through it. The big plus with hikes in this area, are there are hardly any people around – we had the arch all to ourselves! Further along is the Mirror Tarn, which is a very still and almost black water lake with a perfect reflection. 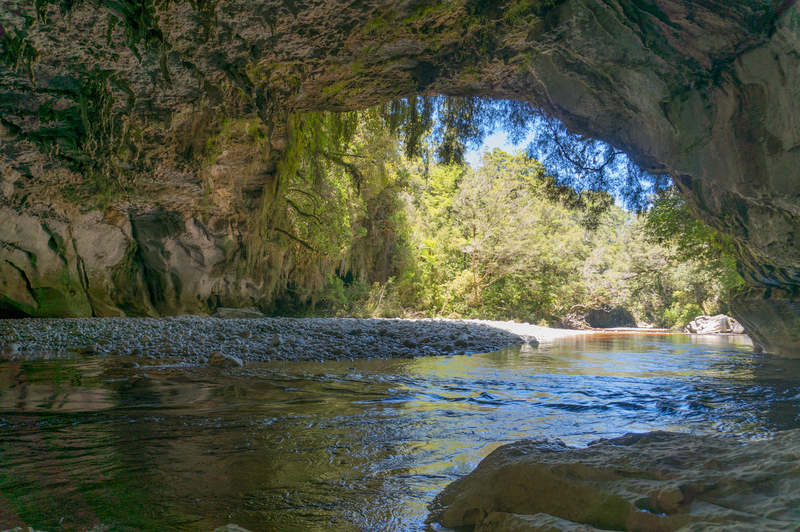 The Oparara Arch is a short 50 min return hike with a massive arch of rock high above you. Very pretty area with plenty of photo spots. Honeycomb Hill Caves are further along the road from the above hikes. I haven’t seen them, but if you’re a fan of limestone formations, look into taking a tour. 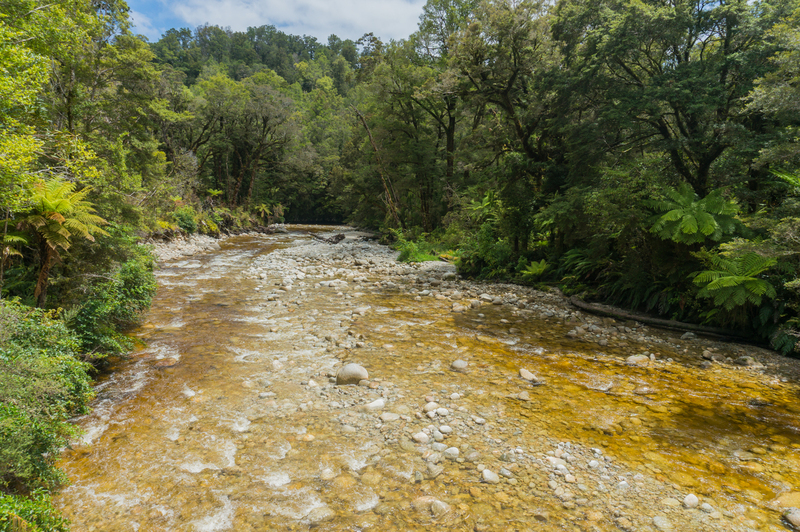 You can even link up to the Oparara Basin walks! And there’s more! Have a look at this link to see what else you can do in the area. By car, it’s 99km from Westport. Full up with fuel before you leave as there is no petrol station until Karamea. There’s a public tranport option from Westport through the company Karamea Motors / Express Ltd. Call (03) 7826 703. I highly recommend looking at Last Resort. The staff are very friendly, there are dorm room, lodge or cottage options. There’s a cafe/bar and it’s very green! I made use of their showers and laundry for $5. 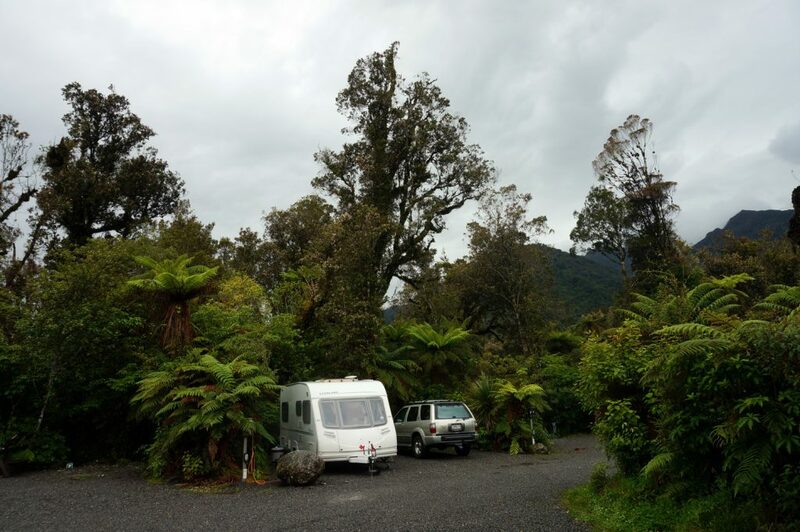 If you are wanting another affordable option, look at Karamea Memorial Domain Camping Ground. It’s behind to school and was only $12 a night in a caravan for me! There are plenty of other options that you can find out here. Karamea is one of my top favourite spots in New Zealand including Glenorchy. I plan to be back. Have you visited the area before? Did you like it? Do you have anything else you would recommend? I’d love to see your comments below.